“Scanning” documents and photos with your phone is a mixed bag. Thankfully, there are very easy ways to scan items and get reliably good results. Sure, a dedicated scanner is still great to have if you frequently need to scan a large handful of documents, but using your phone also works great if you only have a couple documents to scan every now and then. Here’s what we recommend for Android and iOS. 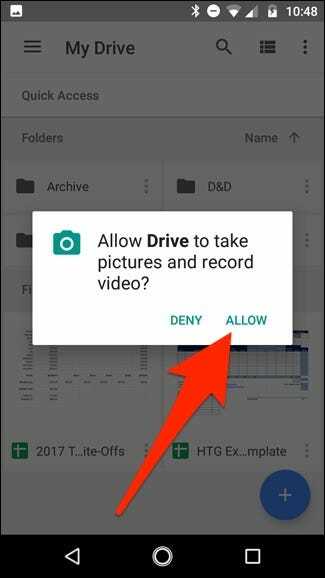 If you’re using an Android device, the best way to scan documents is through the Google Drive app, which comes pre-installed on pretty much every Android device these days. When the menu slides up from the bottom, select “Scan”. It may ask for permission to access the the phone’s camera. If so, tap on “Allow”. When you are ready to scan your document, fill up the screen with the document as much as you can and tap the blue capture button. 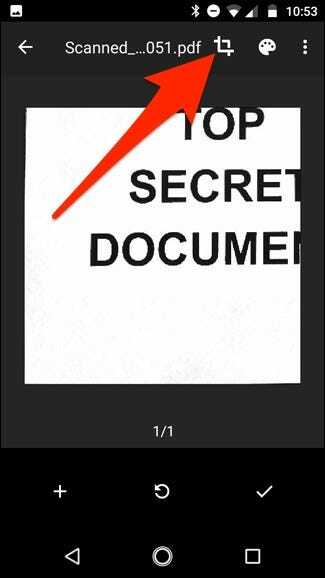 You can also shed a little light on the document by tapping the flash icon next to the capture button if your device has a flash. If your device doesn’t have a flash, this option won’t appear. 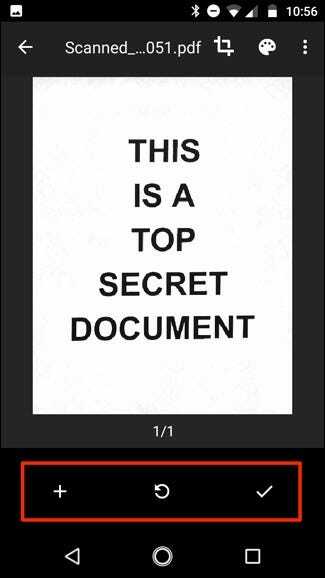 After you scan the document, a preview of it will immediately appear. 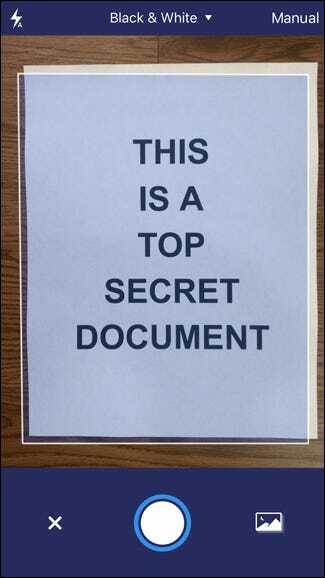 Don’t worry if it looks like most of the document is cut off. This is where the crop tool comes into play. Tap on it to make cropping adjustments. Tap, hold, and drag on the dots to change the area that is scanned and uploaded—you likely only need to mess with the corner dots for this. 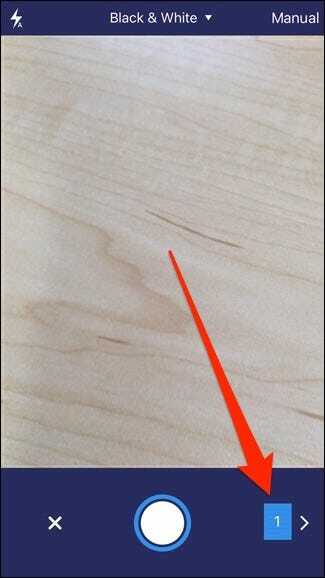 Once finished, tap on the checkmark in the lower-right corner of the screen. 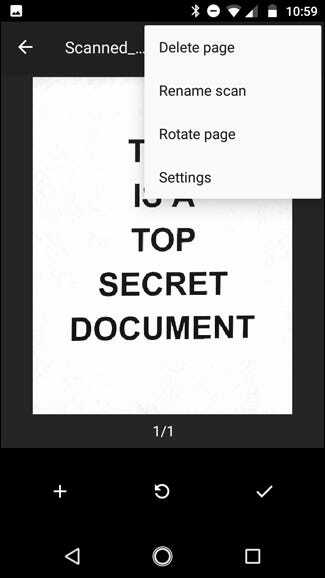 Tap the plus icon to add more pages to the document. 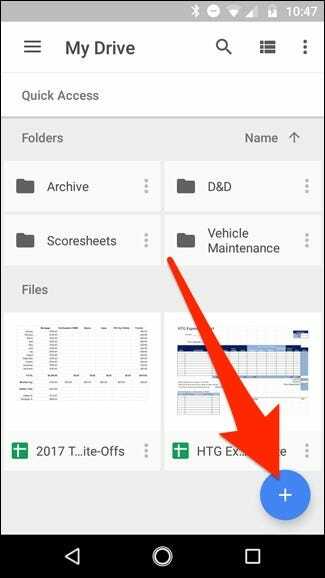 Tap the checkmark icon to finish and upload the document to Google Drive. You can also make minor adjustments to your scans as you go. 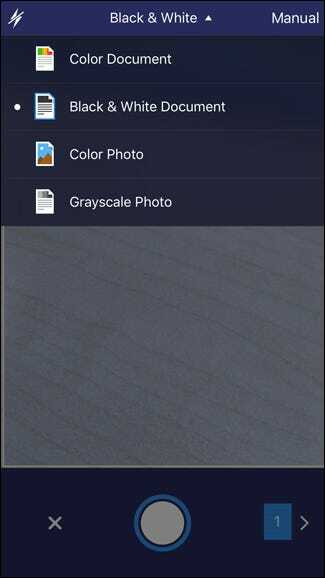 For instance, tapping on the painter’s palette in the top-right corner will allow you to change the scan’s color selection and cater it towards a specific kind of document. By default, the scanner will automatically pick the one it thinks is best. Lastly, the three dots in the upper-right corner will let you delete, rename, and rotate the scan if need be. Uploaded scans are added to Google Drive as PDFs and the names are prepended with the word “Scanned”, followed by the date and time. 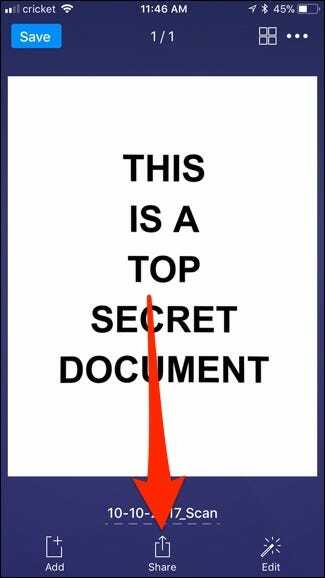 You can move, rename, or delete any of your scanned documents by clicking the three dots next to the file’s name. 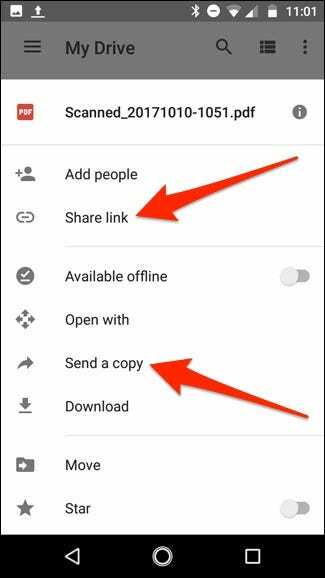 You can also share your scanned documents from this menu by tapping on “Share Link”. 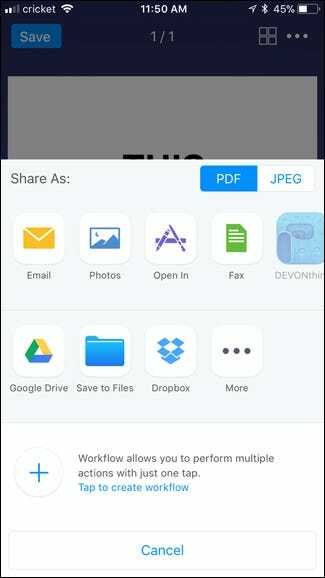 This will share a link to the document on Google Drive, while “Send a Copy” will allow you to share the actual file over email, send it to Dropbox, and more. 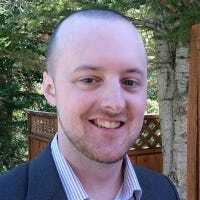 Or, if you move to a desktop computer, you can even convert that scanned PDF into a document which you can then edit or export to Microsoft Word. 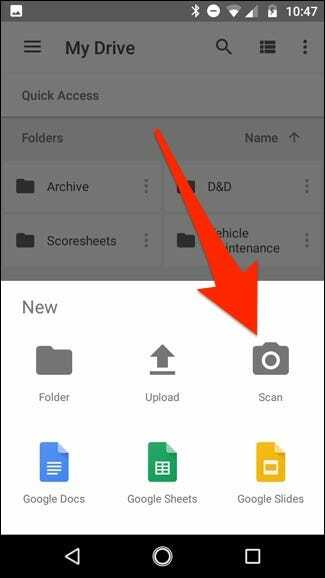 Unfortunately, Google Drive doesn’t have a document scanning option on its iOS app, but the Notes app on your iPhone or iPad has the ability built in. The only downside is that it’s pretty barebones, and doesn’t come with a whole lot of features. So if you want something a bit more robust, we recommend Scanner Pro. 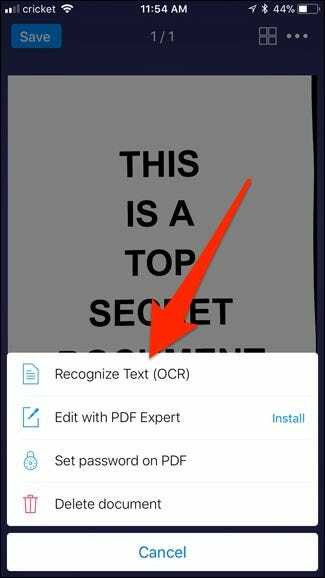 It costs $4, but it’s worth it if you need the extra features, like OCR and the ability to share a scanned document to a number of different services. Once you have the app downloaded and installed, open it up and tap on the plus button down in the bottom-right corner of the screen. 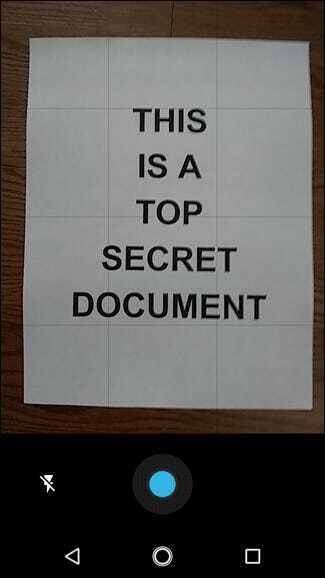 Fill the screen with your document that you want scanned. 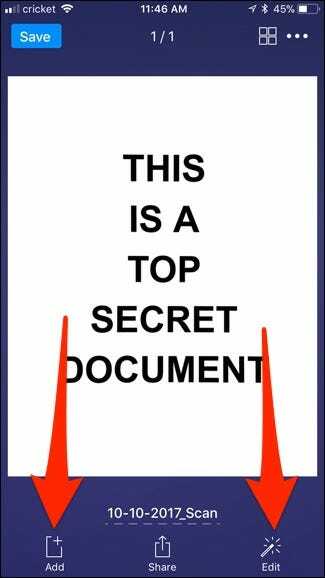 As you do this, a blue box will highlight the document to intelligently mark the borders of the paper. 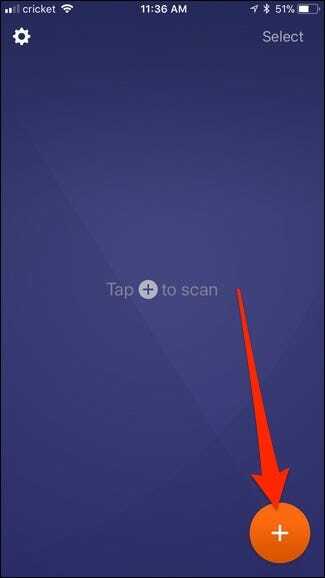 Once the document is ready to be scanned, the app will either scan it automatically or you may have to press the capture button at the bottom. This is based on whether or not you have it set to Manual or Auto, which can be accessed by tapping on the relevant setting in the top-right corner of the screen. You can also access different scanning options at the very top, depending on what it is that you’re scanning exactly. 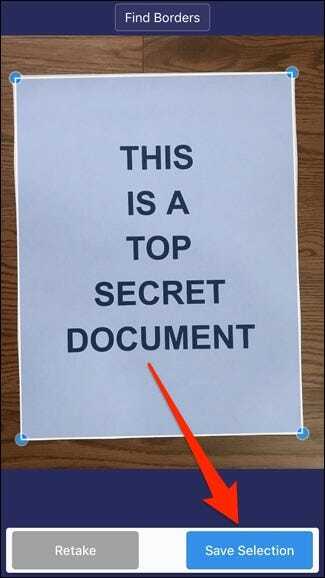 In any case, once the document is scanned, tap, hold, and drag on the corner dots to better adjust the boundaries of the scanned document—sometimes it doesn’t get it exactly right. When you’re done, tap on “Save Selection” in the bottom-right corner. Or tap “Retake” if you’re not happy with the result. 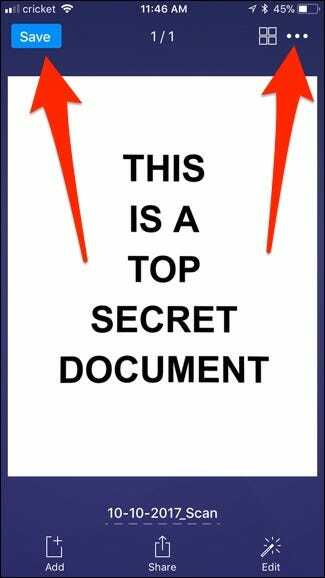 Once saved, you’ll be taken back to the scan screen where you can scan more pages of that document if there are more. 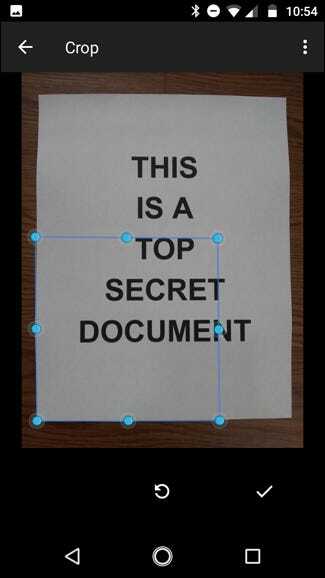 If not, tap on the arrow in the bottom-right corner to finalize the scanned document. At this point, you can save the document to any number of cloud storage services or email it someone (or yourself). Do this by tapping on “Share” at the bottom. You can also make any last-minute edits to the document if you forgot to do them before by tapping on “Edit”, or you can tap on “Add” to tack on any more pages you forgot to include. 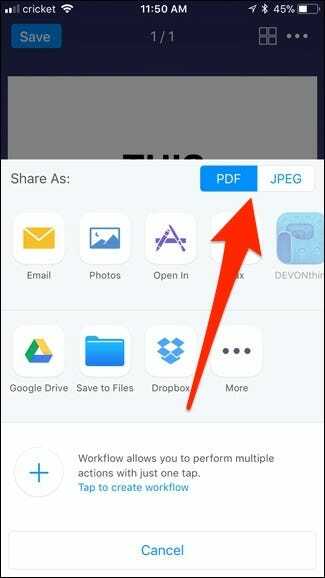 Within the Share menu, you can select what file format to save the document as—either a PDF or JPEG. Below that is where you can share the document, either by emailing it, saving it to your photos, faxing it, or saving it to a number of different cloud storage services like Google Drive and Dropbox. 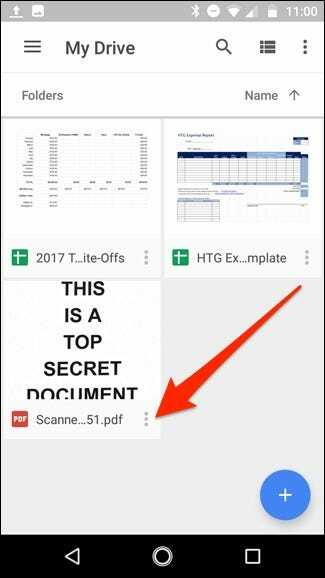 Once you do what you needed to do with the document, go back to the main scanned document screen and either save the document locally in the Scanner Pro by tapping on “Save” in the top-left corner, or tap on the ellipses icon in the top-right corner to delete the document. Just like that, thanks to Google Drive, iOS Notes, and Scanner Pro, the dream of an (almost) paperless world gets that much closer. While we don’t think anyone will ever be 100% paperless, being able to scan something and then effortlessly share it with someone without the need for heavy machinery definitely moves things in the right direction.